In literature, characters that smoke are often described as haggard and older looking, with facial features that are associated with worn leather. While these depictions arguably carry over into reality, what is for certain is that the association between smoking, cancer, and cardiovascular disease is strong. Unfortunately, however, the connection between smoking and biological aging has been less clear. Yet, a new study from an international team of investigators led by scientists at Insilico Medicine may change how smoking is evaluated at the biochemical level. 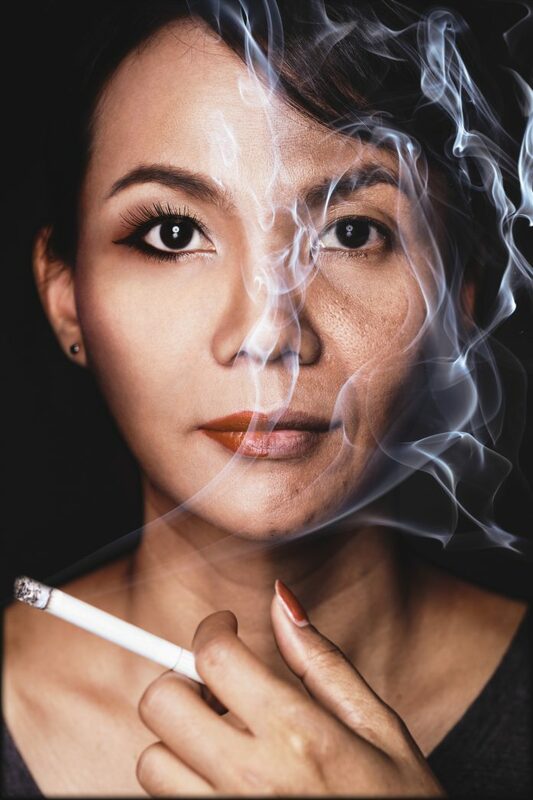 “In this study, we demonstrate for the first time that smoking status can be predicted using blood biochemistry and cell count results and the recent advances in artificial intelligence (AI),” the study authors explained. Findings from the new study were published recently in Scientific Reports through an article titled “Blood Biochemistry Analysis to Detect Smoking Status and Quantify Accelerated Aging in Smokers,” with the researchers setting out to determine biological age differences between smokers and nonsmokers, and evaluating the impact of smoking using blood biochemistry and recent advances in artificial intelligence. By employing age-prediction models developed by supervised deep learning techniques, the study analyzed several biochemical markers, including measures based on glycated hemoglobin, urea, fasting glucose, and ferritin. According to the study’s results, smokers demonstrated a higher aging ratio, and both male and female smokers were predicted to be twice as old as their chronological age as compared to nonsmokers. The results were carried out based on the blood profiles of 149,000 adults. Additionally, the study results proposed that deep learning analysis of routine blood tests could replace the current unreliable method of self-reporting of smoking status and evaluate the influence that other lifestyle and environmental factors have on aging. “Our findings suggest that deep learning analysis of routine blood tests could complement or even replace the current error-prone method of self-reporting of smoking status and could be expanded to assess the effect of other lifestyle and environmental factors on aging,” the authors concluded.